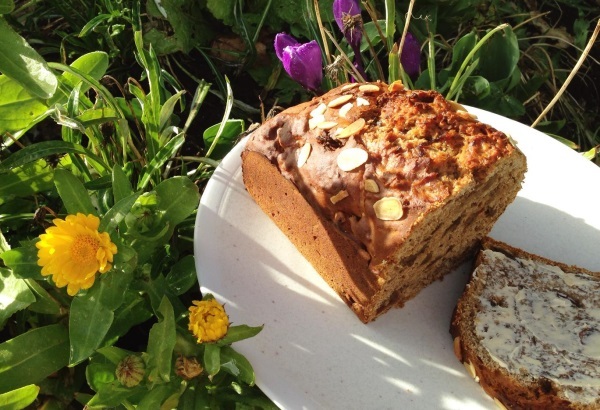 It’s healthy and delicious–no butter and only a small amount of sugar make this tea bread a winner. Dried fruit adds fibre. It is a traditional Welsh food with a history. There’s some yummy tea-in-cake science to learn about. Grown-Ups: Although this is an easy bake, you do need to soak the fruit for at least 3 hours or overnight, so be prepared. * 400ml of boiling water with 2-3 teabags left in the water for at least 5 mins–the tea should be strong. 1. Put the dried fruit and sugar into a bowl and add the tea. Cover bowl and allow to soak for at least 3 hours or overnight. 2. Preheat the oven to 180c, 350f, gas 4. Sieve the flour and baking powder over the soaked fruit, and add the mixed spice. Lightly beat the egg in a cup or small bowl, add this to the bowl, and mix everything together. 3. 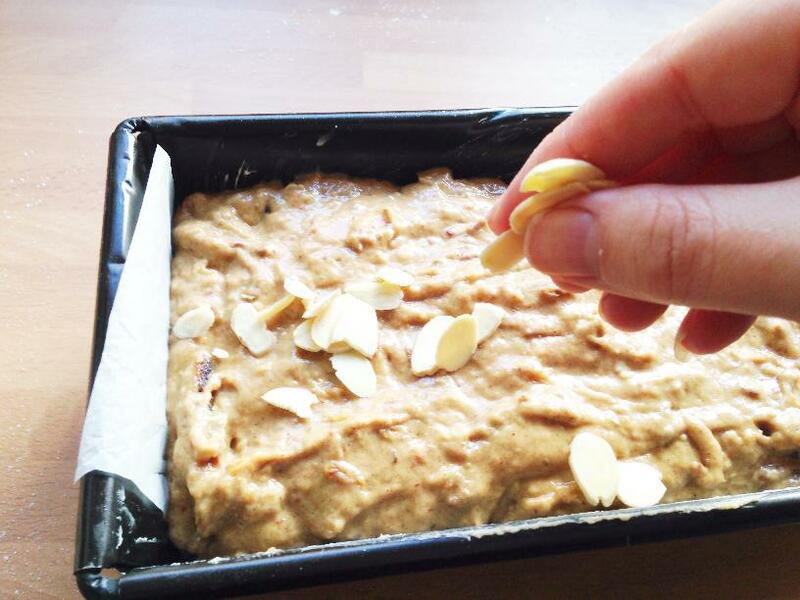 Spoon the mix into a greased loaf tin, and sprinkle the almonds over the top if you’re using them. 4. Bake in the oven for 50 minutes, and then you have your beautiful bara brith! 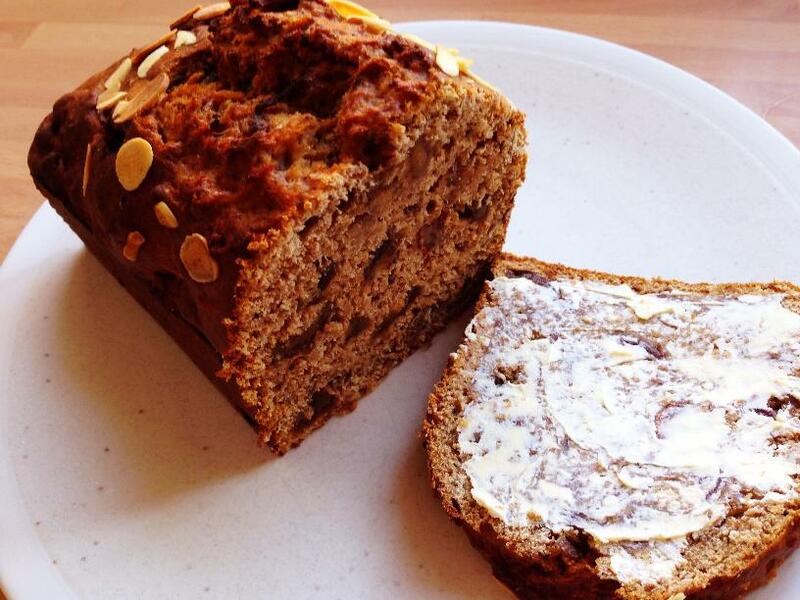 There’s debate over whether bara brith is a cake or a bread, but it’s somewhere between the two–a bit like malt loaf. You can enjoy it on its own, but it’s traditional to eat it spread with butter. You might think that using tea in a cake recipe is a bit strange, but there’s actually some science to it. 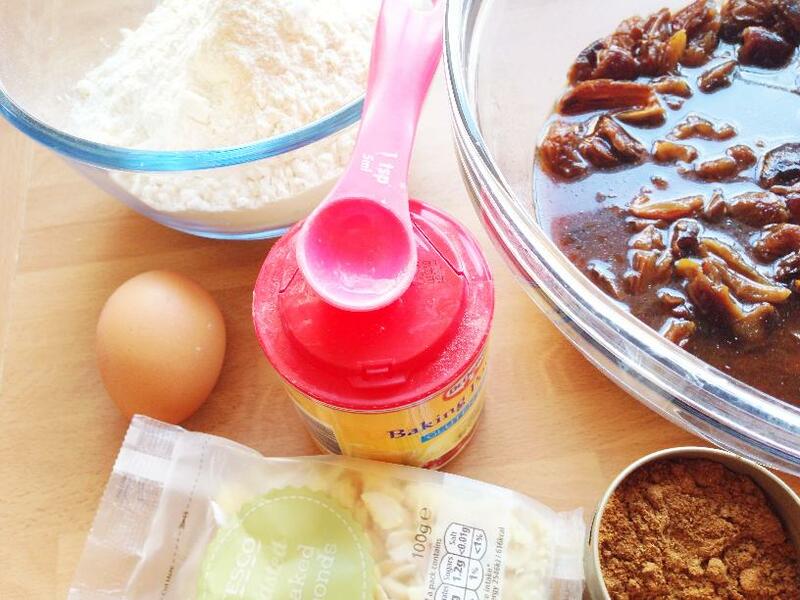 As well as adding a nice flavour, tea performs an important role in helping the bara brith cake mix to rise. There are acids in tea, and as soon as the baking powder meets the tea, you’ll see it start to bubble. 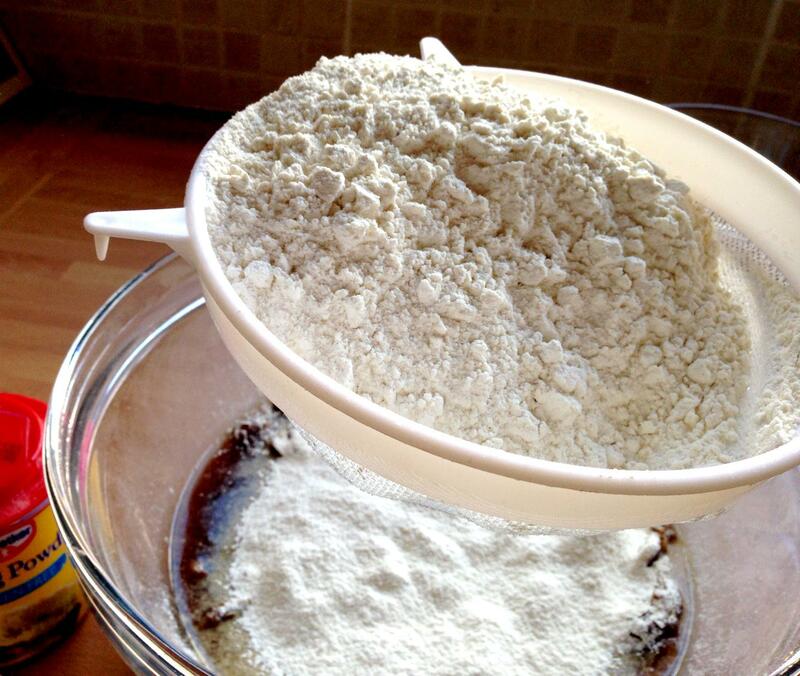 Baking powder contains bicarbonate of soda, which is an alkali, and when an acid meets an alkali you’ll see a chemical reaction. This chemical reaction makes air bubbles that help the cake to rise. The tea also provides the moisture so we don’t have to use any butter. 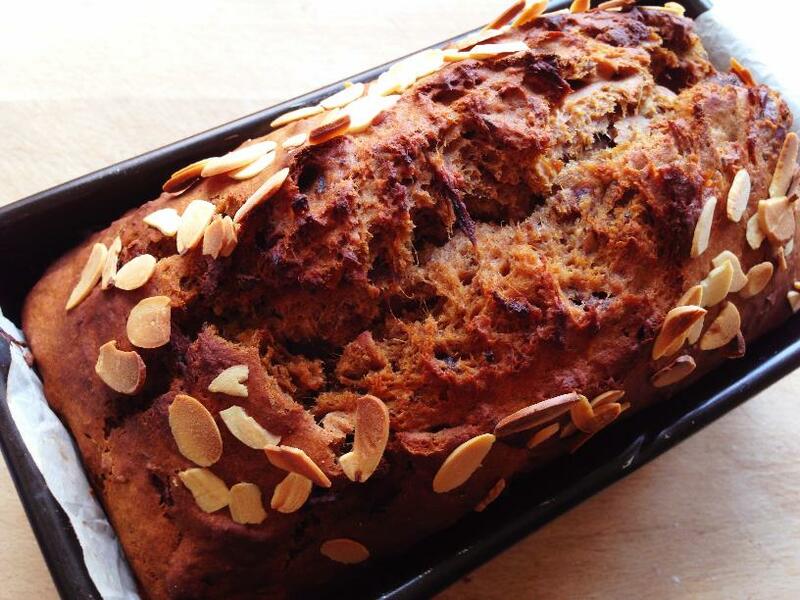 Bara brith is Welsh, and when translated to English means ‘speckled bread’–the speckles coming from the dried fruit. Some varieties of bara brith use yeast to make the tea bread rise, but we’ve used baking powder here to speed the process up. It’s thought that bara brith was first invented when there was leftover dough at the end of the day, and they added currants to make a more tasty bread.